Since it’s founding over 100 years ago, The Century Club of Scranton has been one of the largest and most successful organizations in Pennsylvania. Even today, as many other organizations of that era have ceased to exist, The Century Club has continued with a mission of support to the community. Its mission: “To promote the development of Northeastern Pennsylvania’s historic, cultural, economic and natural resources through preservation, education, and promotion of local heritage”. 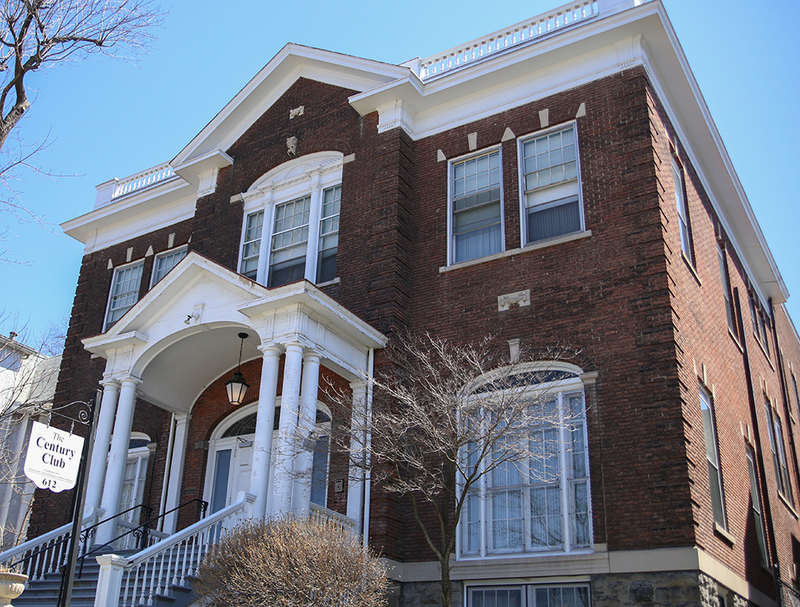 The Century Club of Scranton was formed in April of 1911 from the merger of four clubs: the Ladies Reading Club which began in 1886, a City Improvement Association begun in 1908, the Woman’s Club formed in 1909 and the Tuesday Art Club formed in 1910. Finding that much of their interests were overlapping they decided to join forces and the new club began with a membership of about one hundred and eighty. As membership grew so did the organization, incorporating on March 5, 1913. A Red Cross headquarters in WWII, in 1943, due to a need for skilled nurses, the club established a nursing scholarship program, still in existence today, providing over 1000 scholarships in nursing to the community. In 1996, the club and its clubhouse, built in 1914, were placed on the National Register for Historic Places recognizing its impressive club history and magnificent architecture. The Century Club of Scranton is a 501 (c) 3 organization.